Shares of 3D Systems Corporation (NYSE: DDD) dropped as much as 29.7% on Wednesday after reporting third-quarter earnings. Sales fell and net loss grew, which is never good for a company, and management even withdrew its guidance for the year. At 1:50 p.m. EDT, shares were still down 24.1% on the day and showed no signs of picking up. Revenue fell 2.2%, to $152.9 million in the quarter , and net loss expanded from $21.4 million to $37.7 million, or $0.34 per share. Adjusted for one-time items, the loss was $0.20, but even that was a shock because analysts were expecting $0.12 in earnings per share on $162.9 million in revenue. 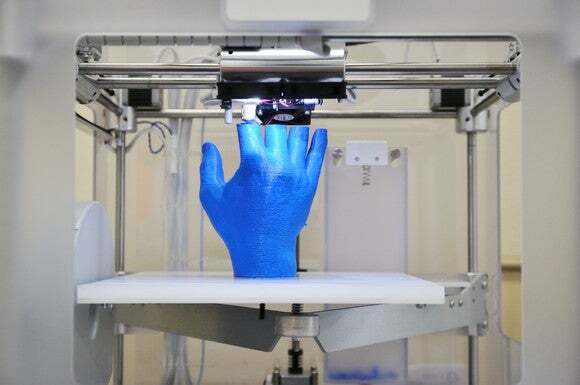 Writedowns of $12.9 million hurt earnings, but the bigger story is that demand for printers was weak, and on-demand 3D printing is seeing pricing pressure as 3D Systems tries to transition its business to a more sustainable business model of ongoing service sales. Customers, however, aren’t displaying the kind of demand management had hoped. Conditions are so uncertain that management is pulling its full-year guidance as it reviews its entire business. The go-to market team has already been turned over, and 3D Systems is reviewing what customers want to get from the company long term. The potential for 3D printing still is incredibly long term, but getting customers to increase adoption has been much harder than most investors had hoped. Look for 3D Systems to try to transform itself into a more focused company in coming quarters, which could lead to more ups and downs for the stock as investors gauge what the future looks like in this continuously evolving industry. Travis Hoium has no position in any of the stocks mentioned. The Motley Fool recommends 3D Systems. The Motley Fool has a disclosure policy . Why 2017 Was a Year to Forget for Frontier Communications Corporations Corp.